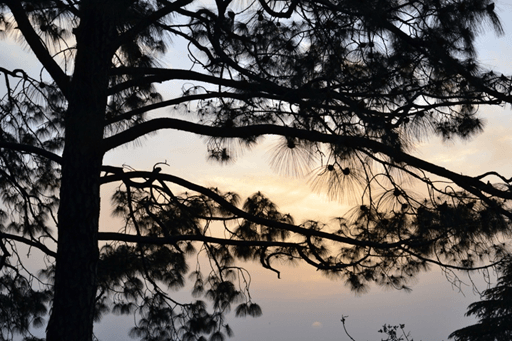 Kasauli was set up as a cantonment city by the colonial in 1842, and since then its fauji legacy has continued. 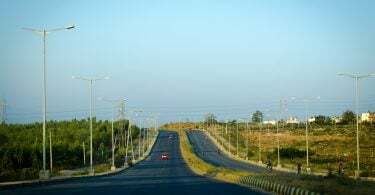 It’s a refuge for retired army men and also the home of the famous boarding school of Sanawar. Somehow Kasauli has managed to hold on to its calm & peace and evaded the clutches of commercialization (for now) and is pristine in many ways. The road to Kasauli itself is quite an adventure, amazing six-lane roads of NH 22 promises a smooth ride, with many interesting stopovers in between – the highway extends all the way up to Timber Trail which has a cable car from which you can go across to the other mountain top, frightening but exciting, and to get over your fright there is a restaurant on the other end with food to help you calm your nerves. Further up is Dharampur, from where is the turn off for Kasauli, it has a lot of eating joints including the famous “Gyani Ka Dhaba” ( personally feel its overrated ). You also have to pass through a small town called Garkhal on your way to Kasauli which hosts a lot of music festivals. Baikunth Resorts is quite popular among those travelling to Garkhal. 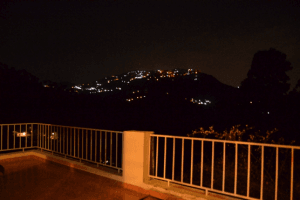 Kasauli town is a popular destination for bikers and almost every Sunday biker gangs, riding Harleys and RoyalEnfields, coming from Chandigarh or Ambala, make camp in Kasauli. It is situated on steep mountains. Very steep. So walking around might be quite an exercise. Nevertheless this place has something in store for everyone. If you were to visit the Old Kasauli Club (where the movie Koi Mil Gaya was shot) you will be transported back to the previous century. The architecture and the culture of colonial times has been preserved well. In the main market market, the Narinder sweet house, decades old, has the best Bun samosas and is famous for his fresh jalebis and gulab jamuns, everyday at around 4 o clock . It has good reviews on TripAdvisor and Zomato too. You can discover lots of other little interesting cafes as well. 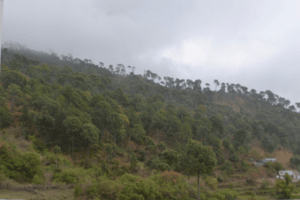 If you befriend the locals, they can tell you interesting stories about the old ancestral houses of Kasauli and many an interesting anecdotes about the ghosts of Kasauli town! The botanical garden with swings and slides is popular among large family groups. If you keep walking further ahead down slope you see a tiny hut set up with the view of the mountains right in front. There are a lot of picnic spots around town as well so you can pack a lunch and spend the day there, taking in the views of the mountains. The town is high enough in altitude that in the evenings, you are literally walking amidst clouds ! 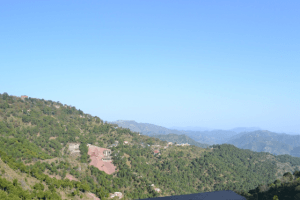 Kasauli is known for it’s fruit wines of different flavors – apple, kiwi, apricot, peach, grapes,etc, and a little ahead, in Solan, they have a beer brewery that you can visit. 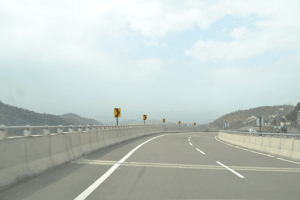 Chail and Kufri (closer to Shimla) are two places around that you can drive up to from here for their scenic beauty and a beautiful drive by itself. Catering to the youngsters, they also have good night clubs and certain places have ladies night as well! Go Ladies! 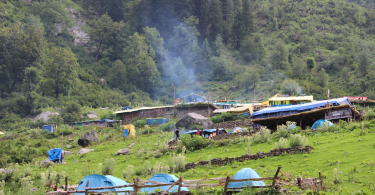 There is then the Sanawar Nature Camp, you can stay in tents and have the ultimate camping experience. Kasauli has something for everyone in your family and is guaranteed to become a favourite holiday destination that you would want to go to again and again. 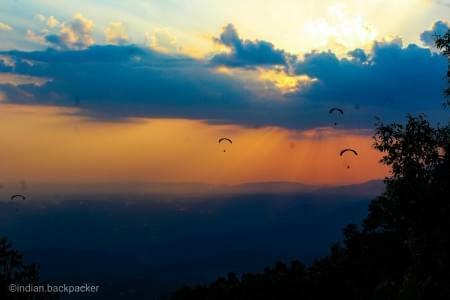 Wow amazing pics of nature, I love it. Nice and descriptive post. It’s the most calmest and serene place I have ever visited. Although I visited the same with my colleague and wrote an article about my travel experience.